120 million connections in nearly two decades is a phenomenal success of the mobile industry in Pakistan. On the flip side we’re also well aware that mobile loss’ an equally large industry particularly in Karachi. The one clear fact is that whatever the reason for the loss the inconvenience caused can easily be reduced or altogether eliminated (except financial loss) if certain measures are taken. Ensure the SIM in use is properly registered with the concerned operator. Check the number of SIMs registered against your CNIC by sending a SMS to 668 with your CNIC number. Keep a note of the the IMEI number in a safe place. To obtain IMEI enter *#06# on your handset. You can also get IMEI number from the back of your cell phone’s packing. Delete confidential information stored on the device and memory cards. Items that must not be stored are family photos, videos, sms/emails with Pin Codes, Bank Details, Addresses, and Passwords etc. Lock the phone at all times when not in use. If possible install software that will lock folders/files. When travelling always secure phone out of sight & avoid use particularly while driving or stopped at signals. If at all there’s a need to operate a cell phone while using a vehicle, then pull over wherever safe to do so or use a hands free connection. Always ensure phone battery is sufficiently charged. Keep a spare Emergency Use ONLY mobile in a safe location in your home/vehicle with key contacts stored. Smart phone users should install remote tracking and wiping software. Block the SIM: call the mobile co.
Smart Phone Users change passwords of all emails and/or any account that was saved to the device. 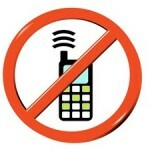 Use back up Emergency Phone to inform family/office of the loss. Very useful information. Keep it up. 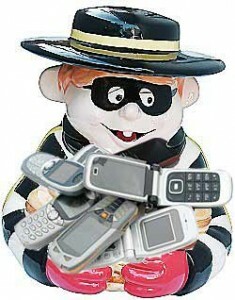 lots of people carry simless cheap phones to hand over in case of mugging/ robbing at gun point.